I think we can all relate to this. When did HELP become a dirty four-letter word that we aren’t supposed to use? I was never taught to NOT ask for help, yet it has taken me a long time to get on board with the reality that I live a crazy life and I NEED help. Needing help often comes with some kind of shame, a fear maybe that others might think I was weak? Or maybe I believe that somehow, I got myself into “this mess” so I don’t deserve help? Regardless, if you are reading this blog especially as the parent of a child with special needs… YOU NEED HELP. You are absolutely worthy of help. And while our kiddos can be more challenging, exposing them to people outside of ourselves is a huge benefit to all involved. It helps our kiddos have other adults in their lives that can love them well. It helps us carry some of the burden. I know from experience that caregiver fatigue is a real thing. What a gift to the people who get to know our kiddos. It feels good to help those around us, and by saying YES to the offers of help, it builds community and relationship. Plus, our kiddos are amazing even with the hard, and the world NEEDS to know them. When someone asks what they can do to help me I sometimes don’t know where to start. It gets to a point in this chronic life that it feels like more work than relief teaching someone about our lives. But I promise that it can be worth it. And maybe that means I say YES when someone offers a meal, or I say YES when the neighbor asks if she can pick up my other daughter from school. When I find myself saying “I can do it” I am learning to pause and say, “Yes! 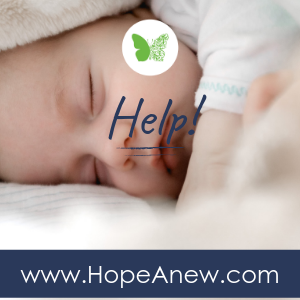 I would love the help.” It might even mean me reaching out to friends and family and ASKING for help, because I have now realized I am worthy of needing help. I was so grateful to help my friend. I had the time to make it work, and I was truly blessed by getting to serve them. Older PostWhy, God, Did You Fail Me?